WE CAN TAKE IT, WHATEVER IT IS. 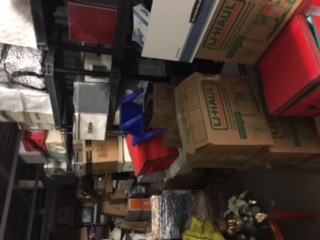 Storage Unit Clean Out In Fairfax!!! Storage units are great resources when you temporarily need a place to put your things for three to six months like you needed to do with this move. Storage units, however, are not where things should go to live for years. Our men went out to do a multiple storage unit cleanouts for a customer in Fairfax today. We were able to take about 75% of it to donations and the rest to the dump. Its usually really simple you point to what. Our disposal process is responsible! Location : 1090 Vermont Ave. NW, Suite 910 Washington, DC 20005 & 2803 Bolling Rd, Falls Church, VA 22042 | 202-875-8196 Keeping your junk from becoming trash in VA, MD & DC since 2008!